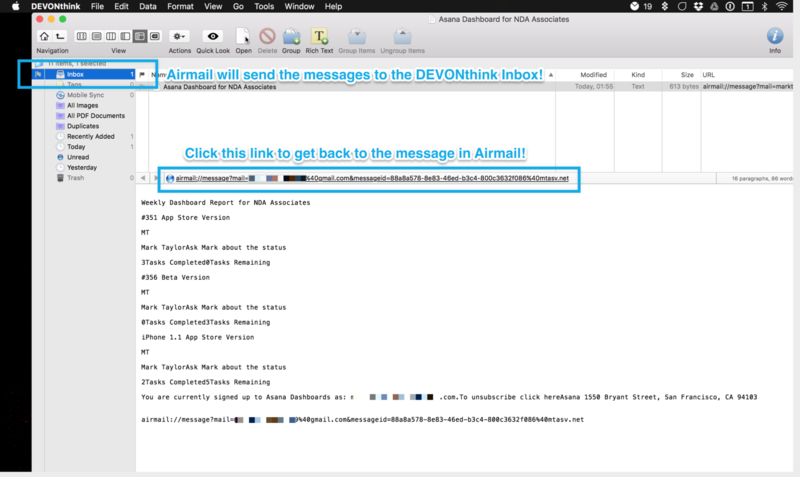 Airmail adds the much awaited DEVONthink integration which allows you to send a message straight into the DEVONthink Inbox. 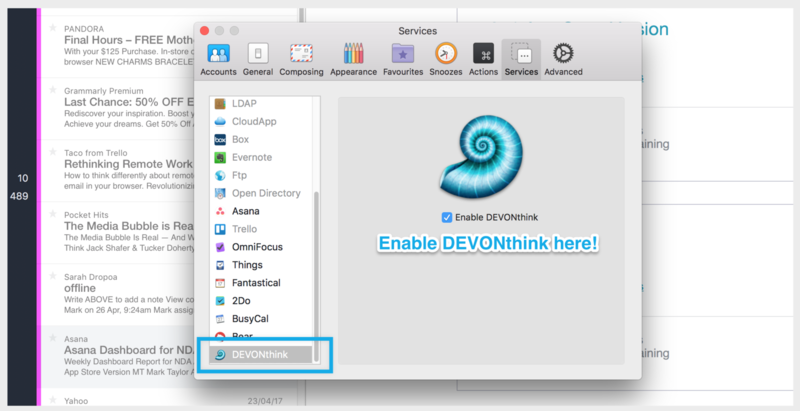 How to enable the DEVONthink integration? 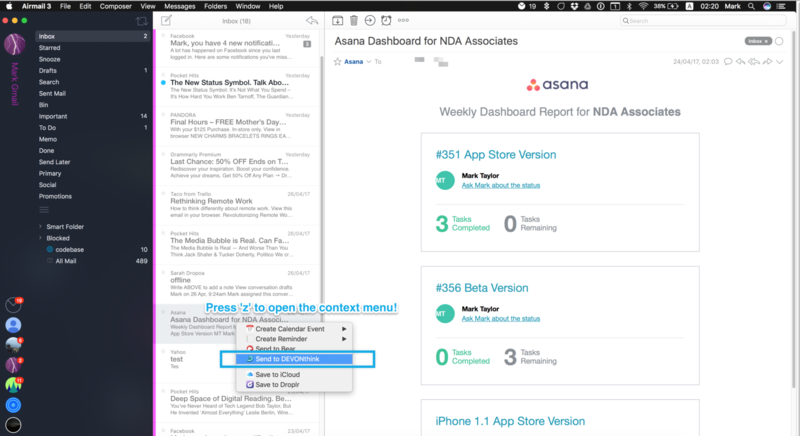 How to send a message to DEVONthink? How the message will display in DEVONthink?